We all try to have at least a dresser to keep our clothes properly that’s why a dresser becomes an important thing to keep good looking. 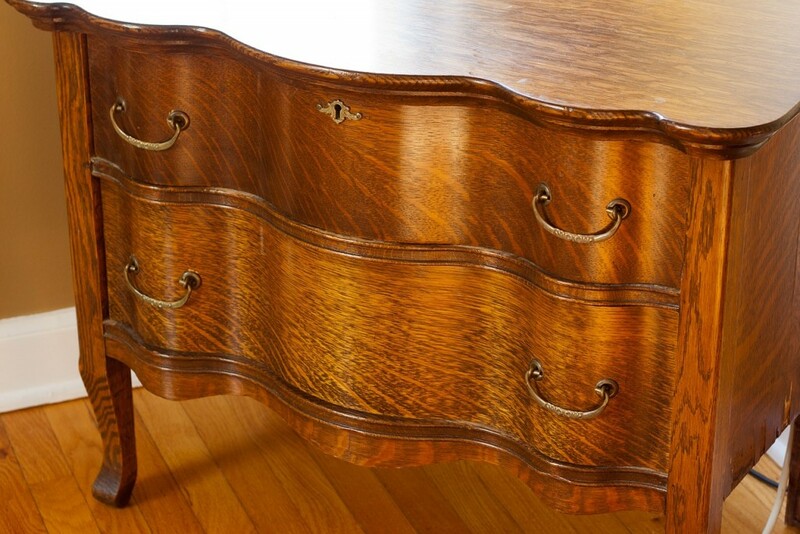 But physical wear and tear makes anything look dull and flake away, so we need to renovate and the best way of renovating a furniture like a dresser is painting as it is less costly than other options such as changing woods, some parts, replacing with another dresser. This article will deal with the discussion of painting a dresser with the best possible way. If you need to paint your dresser, you can do it yourself as to cut some extra costs by doing it by a professional. The first thing that you should do is assessing the damage of your dresser. This is done so that you can have a rough estimate about how much you may need to spend. Suppose that if your dresser needs more coats as it is damaged badly, you will have to spend more whereas if you need a little touch of paint, then surely you are going through less expense. If you have any wish to change the previous color of the dresser, you will have to give more efforts as to express the new color vibrantly. So keep all these in mind and decide what things you will do in your dresser before purchasing things for painting purpose. Next is going with the things that you will need at hand in order to have a complete painting in your dresser. To have a nice painting, you must arrange all the things beforehand you go for the painting job. First of all, you must choose a perfect color and buy that. Choose the color that must be of high quality. Paint remains incomplete if you do not use any primer under it, so buy a quality primer too. To make separate the parts of the dresser, you will need a screwdriver. For initial preparation for the painting, you will need to buy cleaner such as TSP, denatured alcohol for tough dirt, tack cloths for wiping, sandpaper for sanding down. To stick the primer hard on the surface, you will need to sand down the surface, so buy some sandpaper for the purpose of sanding. Lastly, you must choose the perfect tool for using the paint and primer that might be paint brush, roller or paint sprayer as per you requirement of the finish of the painting. It is a common sense that a paint sprayer will give the best result and likewise you will have to spend a bit more too. Roller is not a bad choice for painting, and a paint brush can do the initial coating of primer, but this will leave some marks if you give the final touch of paint with it. One thing that should be recommended that you must use a face mask and a pair googles for your health safety, so if you do not have those yet, you must buy while you will buy the other items. If you set a date for the painting job, that will be better because painting is not a matter of cursory work. You should do the painting job on a holiday or on a day when you are totally free. A free day will not make you hasty for painting and remember that you will not get a good paint done if you do that in rush. Time is another great factor that you must consider. Starting the painting job from the morning will be better as you will have to carry on the process for long hours and if you start painting in delay on the day that you have set for painting, you might be in hurry completing the job. Keep in mind that you can not complete the whole painting job in a day as you will have to dry both the primer and the paint for at least a day to get the perfect painting, so if you are going to set the day for painting, arrange at least two days for the whole procedure of painting. Now you will see how someone can easily paint a dresser one by one following the sequential steps. First of all, you will have to remove all the parts such as the doors and the drawers from the dresser. This will make the separated parts easy to carry to the place where you will paint and you will get a comfortable feeling for painting to great extent. 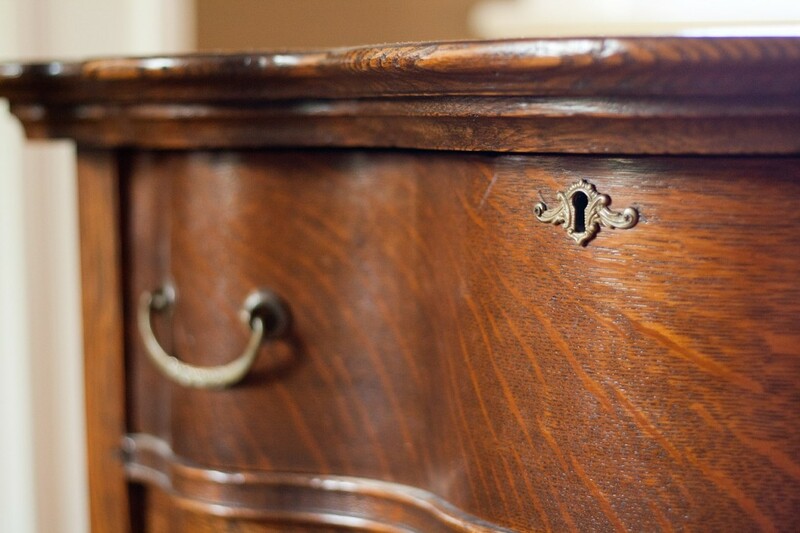 Your dresser may have some hardware which should be removed properly in order to have the best painting. Hardware such as knobs are the things that must need to be painted, so removing hardware has great value in painting. Cleaning should be done because this will remove all the dust from your dresser. Use TSP for getting a good cleaning result. If something is very hard on the surface of the dresser, you can use denatured alcohol for removing that. Do not make direct contact with any of the cleaning agents as these are harmful. You can use gloves while cleaning with the chemicals. Sand the whole surface of the dresser. Sand gently until you get a thorough even tone on the surface. Never sand hard as that may cause deep marks which will make you more efforts by using more wood filler as to hide that. Now, wipe the whole sanded surface well so that there is no residual dust on it. If you do not wipe well, the left dust may mix up with primer which may create bubble and that is enough for messing up the painting result. Priming is done with primer. Primer is a things that links between the surface of a thing and the paint. So you must go through the priming process very carefully. The first coat of primer can be used with a paint brush. You must hide the surface of the dresser with primer’s coat. If you see that there are some portions which have not been hidden with the first coat of primer, use the second coat of primer. The second coat of primer should be given with a roller or a paint sprayer. Whether it is the first coat or the second coat of primer, you must dry well before going to another step. During the drying period of the primer, do not allow dust to catch the surface and for this do the painting job in a well-ventilated area but the area must be less airy. So a well enclosed room with well ventilation can be a perfect choice for painting anything inside it. This is the final stage of painting. In this part, come up with a paint sprayer or a roller to paint with any of these tools. Open the paint container and make the paint as per the guidelines on the container. After preparing the paint well, fill the paint sprayer with the paint or if you are going with a roller, dip the roller into the paint and start painting. After painting, leave much time like several hours even a day to dry completely. After you complete the full painting procedure with multiple coats of paint, if necessary, inspect well how the job has been done. Finally, after drying up all the parts of the dresser, take them one by one to the original place where it was kept previously. Taking there, attach all the parts and hardware. Now you have done the whole procedure of the painting.